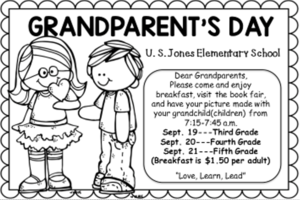 Join us for Grandparent's Breakfasts! The USJ Bookfair will be held the week of September 17th - 21st. 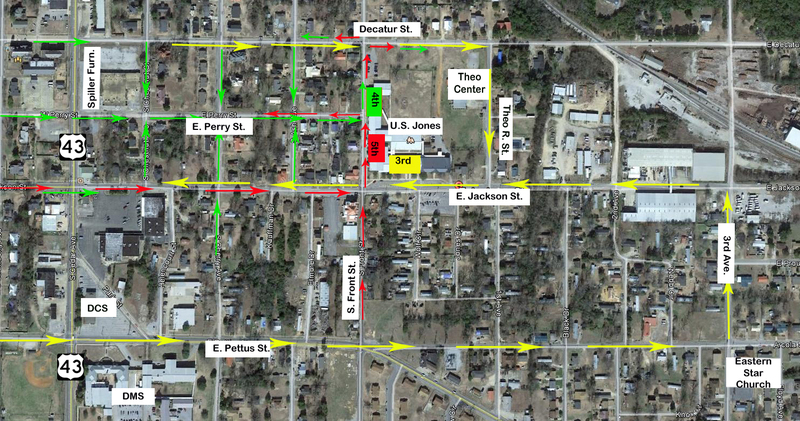 Students will be able to shop several times throughout the week! Cash, checks, and credit cards will be accepted. (no American Express) There is a $10 minimum charge for credit cards. We also invite parents, grandparents, aunts, and uncles to shop our Book fair! 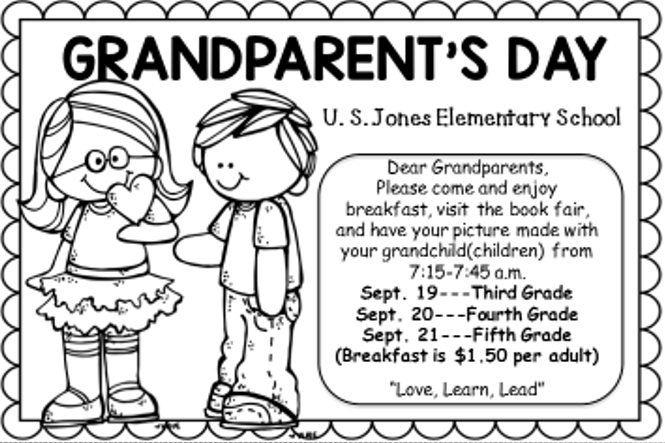 Grandparent's Breakfast will also be held during this time. Come eat breakfast with your student and then visit our bookfair and photo booth. See the attached file for the Grandparent Photo booth order form. Breakfast is served from 7:15-8:00.